Clean air, clean water, and a place to live… it doesn't get any simpler! 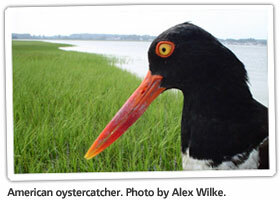 Wildlife and their habitats play an important role in the lives of Virginians. We marvel at the thousands of birds that migrate along the Eastern Shore, and the deer and turkey that have rebounded from near extinction, all the while enjoying our natural "sanctuaries" — a quiet trout stream, magnificent forests, even our own backyards. Be Wild for Beaches: Work in your area to protect existing beaches and areas inland to provide migration areas as conditions change or development occurs. Be Wild for Streams: Improve water quality by decreasing pollutants from entering waterways, such as storm water runoff, nutrients, sediment, chemicals, pet waste, and other pollutants. Work to enhance or improve riparian buffers on your property to decrease erosion and run off as well as provide shade and habitat. Be Wild for Wetlands: Conserve, restore, reconnect, and improve water quality for tidal and non-tidal wetlands. Be Wild for Forests: Maintain and conserve forested lands (including working forests) to provide both larger core areas of forest. Conduct timber management such as clear cuts where needed to provide for a diversity of age class and forest types, including young forests. Be Wild for Open Lands: Plant native meadows and grasslands, alter mowing practice, allow retired agriculture fields to stay open, and remove invasive species. Help monitor species such as song birds, butterflies, and bees. 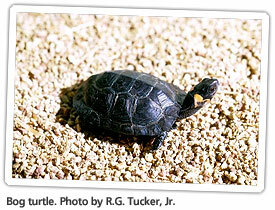 Use Wild: Check out the Wildlife Action Plan interactive web tool or view the printable version. Join Wild: Become a member of our team and let your voice be heard. Support increased funding for wildlife conservation. Join the Team!